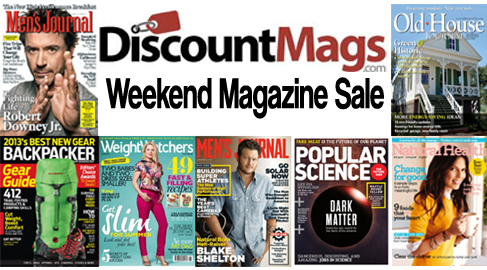 A new DiscountMags weekend sale is out where you bundle 5 magazine subscriptions for $20. That puts each subscription at $4 a year; the lowest price you will find for a lot of these titles! This sale starts 6/6 and runs through 6/8.